← 2015 Britannia Awards: Tickets Now on Sale to the Public! 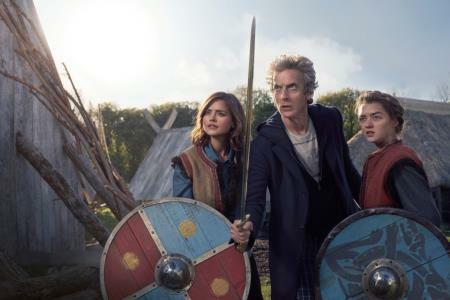 BBC AMERICA released a first look video clip from the upcoming Doctor Who episode The Girl Who Died, starring Game of Thrones actress Maisie Williams. The new episode premieres this Saturday, October 17, 9:00pm ET on BBC AMERICA. This entry was posted in British Telly, Juliette's Timey Wimey Fandom Blog and tagged Doctor Who. Bookmark the permalink.